Even though you may have only been gone for a little more than two months, a few things have changed on campus and in the town of Berkeley. Here are some of the major things you may have missed while you were off being happy. David Blackwell Hall sprang up overnight, basically. It seemed as if the new residence hall that took nearly two years to build suddenly made headway over the past few months and officially opened its doors July 21. With state-of-the-art amenities and modern designs, Blackwell Hall is seen as a major step toward alleviating the student housing crisis. Super Duper Burgers opened. 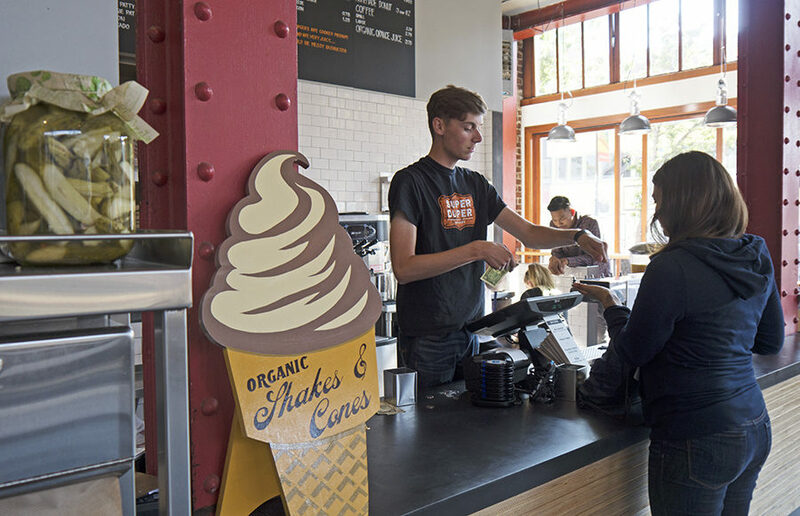 Taking the former location of Smart Alec’s, the increasingly popular burger chain offers organic ingredients and has already welcomed crowds of customers since its opening. Woo Hon Fai Hall will become a new research center. Although no major construction has gone underway yet, the university announced over the summer that the building will become a new research center called the BioEnginuity Hub. Woo Hon Fai Hall, which before had housed the Berkeley Art Museum & Pacific Film Archive, has been empty for nearly four years and will finally be of use again. Cafe Durant lost its liquor license. Unfortunately, the popular Mexican and brunch spot lost its liquor license for one year after investigations that revealed that the restaurant had served alcohol to underaged people. Baker & Commons replaced Elmwood Cafe. After the abrupt closing of Elmwood Cafe last spring semester, countless Berkeley residents were disappointed to lose a local favorite. However, Baker & Commons opened in place of Elmwood Cafe, offering a nearly identical menu with new management emphasizing its principle of welcoming the entire community. You’re not the only one who’s been busy this summer! There was a lot of change in Berkeley, but it’s still the same old Berkeley we love dearly. Welcome back, Bears!